We offer Woven Fabric for converting into packaging, Sheltering & covering products. The Fabrics is available in Laminated and Unlaminated form through our in-house lamination facility. We can offer a huge gamut of Cotton Apparel Fabrics to our clients. Our fine quality fabric for garments like shirts and trousers is extremely comfortable in both winter and summers. These are available in ecstatic and vibrant color, patterns and styles. These fine soft Cotton Apparel Fabrics provide ample space for stretching, bending and rigorous exercises without tearing. Different Fabrics like silk, cotton, linen, viscose, wool, polyester, rayon & blends in lucrative weaves, solid plains, stripes & plains, cross colors, twill & tweed, hearing bone & box weave, double weave etc for high fashion, cocktail & evening wear and bridals, home furnishing like floor & wall covering, light protective etc. 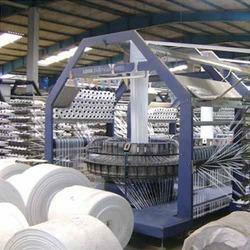 We are engaged in offering a quality tested array of Grey Woven Fabric. The Grey Woven Fabric we offer is widely demanded amongst the clients for their availability in various patterns and prints. These products are designed under the team of skilled professionals, as they have advance knowledge of domain. We are one of the leading manufacturers and suppliers of Woven Fabric using hundred percent cotton yarn. These woven fabrics are used in making T-shirts, caps and defense tents. We are involved in offering a wide range of Woven Fabric to our most valued clients. 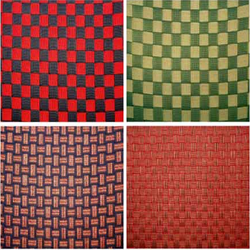 Our range of Woven Fabric is widely appreciated by our clients which are situated all round the nation. These Fabric is designed and crafted by our skilled professionals using superior quality material in adherence with market prevalent norms.